Our beloved son, brother, grandson, cousin, nephew and friend, Wyatt T Mikkelsen, 17, passed away Monday, April 8, 2019. He lost his valiant battle with mental illness. He was born August 23, 2001 in Layton, Utah to Chad L. and Jessica Francis Mikkelsen. Wyatt lived in Clinton all of his life. He attended Clearfield High and Sunset Jr. High in seminaries and received his Duty to God award for both deacon and teachers. He served as a home teacher. He interned at Davis County District Attorney and with Catherine J. Hoskins. He wanted to be an attorney. He received many scholarships and was going to attend Dixie State University in the Fall. Wyatt received his Eagle Scout with two silver and one bronze palms, attended NYLT and staffed it four times being the Senior Patrol leader on the 4th one. He played the violin, ran track and cross-country at Clearfield High, enjoyed mythology, Magic the Gathering and loved to read. We will miss his smile, love of life and laugh! Wyatt is survived by his parents, Chad and Jessica, two brothers, Jeff Mikkelsen, Collin Mikkelsen, and grandparents, Terry and Peggy Mikkelsen and Todd and Audrey Francis. 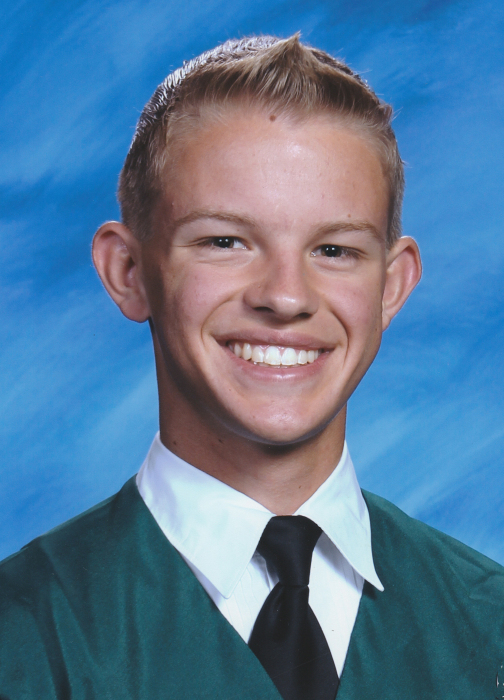 A Celebration of Wyatt’s life will be held at 11 a.m. on Monday, April 15, 2019 at the Clinton Utah Stake Center, 1288 West 1300 North. The family will meet with friends Sunday from 6 to 8 p.m. at Lindquist’s Roy Mortuary, 3333 West 5600 South and Monday from 9:30 to 10:30 a.m. at the Stake Center. In lieu of flowers, please donate to an account at America First Credit Union in Wyatt’s name.